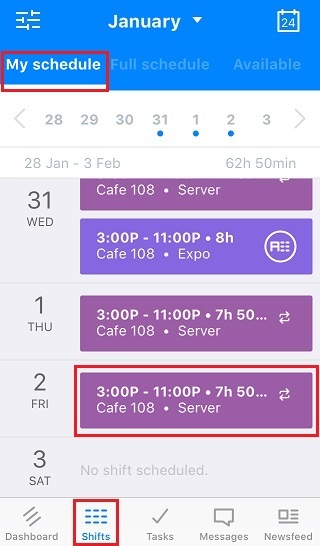 To make your shift available from the app, go to the Shifts tab and locate the shift in the list. Click it to open the details. 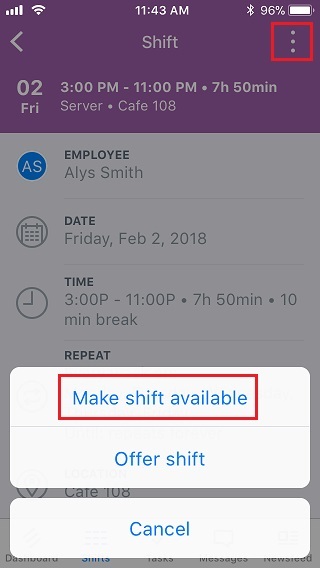 From the shift details screen, click the options button (3 dots) at the top right and choose Make shift available. 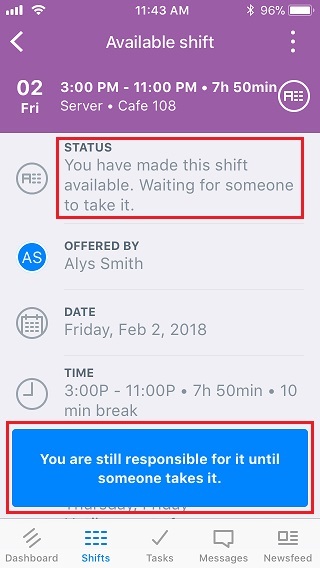 You'll get a confirmation message showing that the shift is now available for pickup. Keep in mind, you are still responsible for the shift until someone else takes it and/or a manager approves the swap.